Foodservice: Puratos acquired North American Pennant Ingredients, Inc.
Posted on 14, December 2015 by EuropaWire PR Editors | This entry was posted in Belgium, Food & Beverage, Investment, Retail and tagged Daniel Malcorps, Foodservice, North American Pennant Ingredients Inc., Puratos. Bookmark the permalink. Groot-Bijgaarden, Belgium, 14-12-2015 — /EuropaWire/ — Puratos, leading innovator in the bakery, patisserie, and chocolate industry, has recently acquired Pennant Ingredients, a leading provider of speciality bakery products and solutions to the North American Quick Service Restaurant, foodservice and retail in-store bakery channels. Pennant Ingredients is a large baked goods supplier for the foodservice and retail markets operating in the US. “This acquisition will allow us to increase our positioning in North-America, especially in the foodservice”, says Daniel Malcorps, Chief Executive Officer of Puratos. 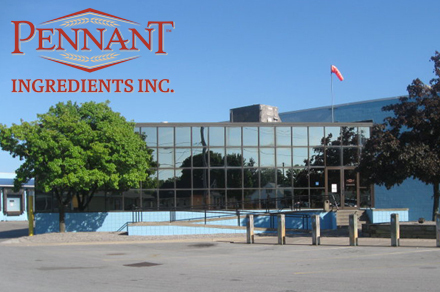 With more than 70 years of expertise in producing and delivering ready-to-use mixes and toppings, Pennant Ingredients, located in Rochester, New York, generates more than 70 million dollars in sales and employs 100 people.